There are two ways to get to Terzo Piano: take the elevator up or ascend the sky bridge from Millenium Park. 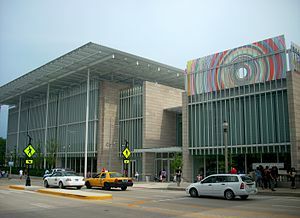 Terzo Piano is located at 159 E. Monroe on the 3rd floor of the Modern Wing of the Art Institute of Chicago. In the comtempory space, you can gaze out of the floor-to-ceiling windows onto Michigan Avenue as you enjoy the “Michelin Guide Recommended 2012″ cuisine of Chef Tony Mantuano from Spiaggia. 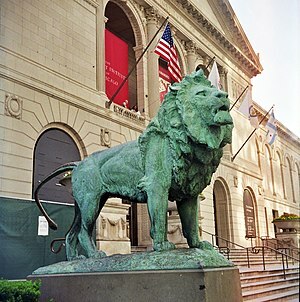 Take some time to peruse the magnificent art collection in this world-class museum before or after lunch. My son’s favorite is Edward Hopper’s Nighthawks located in Gallery 262 on the second level. 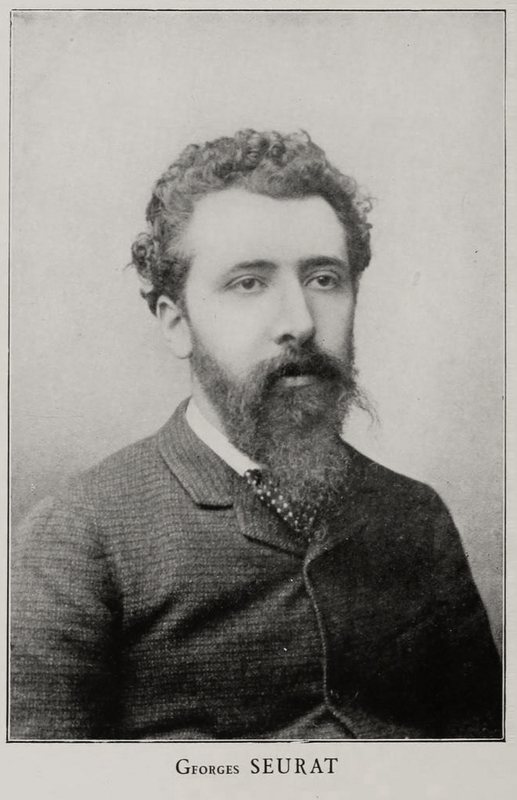 I love the Impressionists! 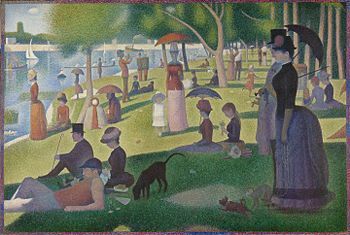 Who can resist Georges Seurat‘s “A Sunday on La Grande Jatte (1884)”? There are incredible masterpieces at the museum: you can see Pablo Picasso’s “the Old Guitarist” in Gallery 391 on the third level; El Greco’s “The Assumption of the Virgin” in Gallery 211 on the second level and Vincent van Gogh’s “The Bedrooom” in Gallery 241. Everyone loves Grant Wood’s “American Gothic” couple in Gallery 263 on the second level. Take some time to check out Salvador Dali’s “Venus de Milo with Drawers” in Gallery 396 on the third level. Don’t leave the museum without seeing Marc Chagall’s America Windows in Gallery 144 on the first level of the Modern Wing. They will take your breath away! Meander into the Museum Store in the Modern Wing of the Chicago Art Institue and pick up some cool posters, colorful art glass or chic scarves to remind you or your visit.